Alekhya: Spilling Ink is a performance-based project that is centered on the notions of creativity in spirituality, and spirituality in creativity. 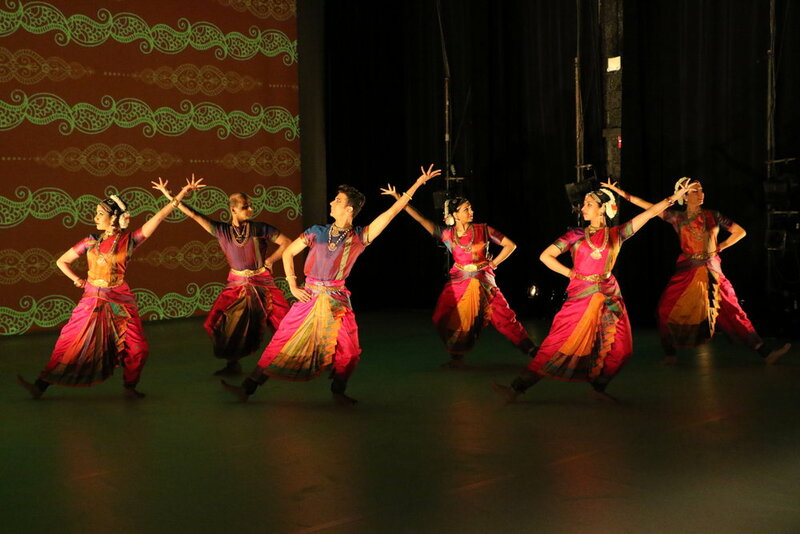 Based in the classical South Indian Bharatanatyam dance form, dancers explore the idea of self in a choreographic process that responds to poetry—lyrics set to classical South Indian Carnatic music—a give and take that departs from an exploration that might otherwise remain in traditional interpretation and depiction. We seek ways to create conversations about the religious/spiritual components of the classical Indian arts. Spiritual awakening or realization can manifest in several ways. For some it may be the reenactment of mythology and folklore. But for us, it is the opportunity to ‘speak with God’ through the art forms. And with that intent, we have created the pieces in this project. Spilling Ink received a Dance Place Space Grant in support of the creation of Alekhya: Spilling Ink and its performances.